Rufus for Windows XP - a universal utility that allows you to create boot images of operating, backup systems or reanimated disks on a flash card or other USB drive. The program can work with BIOS firmware directly from DOS, handle local storage without an installed or damaged OS. The application is extremely simple to use, it can recognize and interpret various types of clusters, file systems, system interfaces and allows you to write the necessary image to a bootable USB-drive without any special problems. 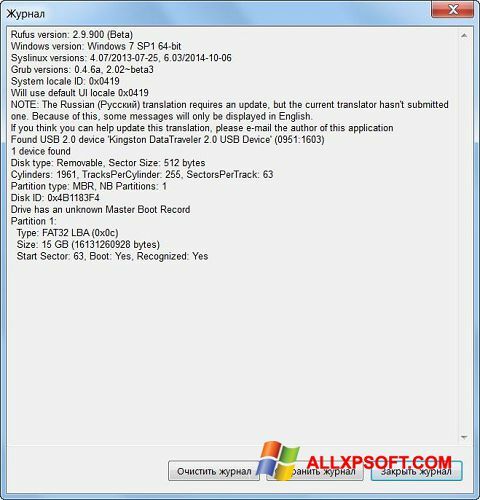 You can free download Rufus official latest version for Windows XP in English.